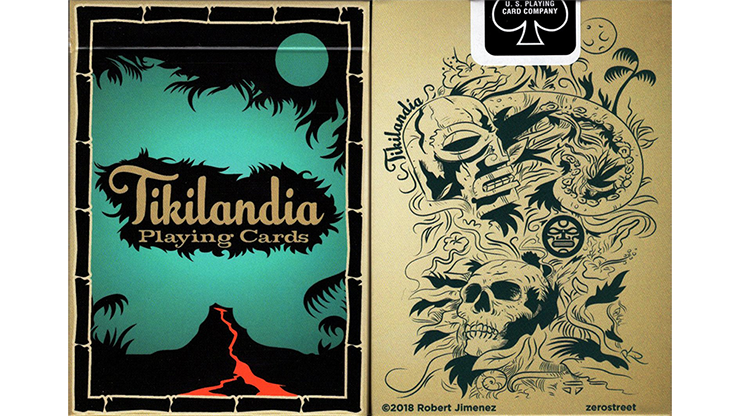 Tikilandia Playing Cards features all original tiki art by artist Robert Jimenez. 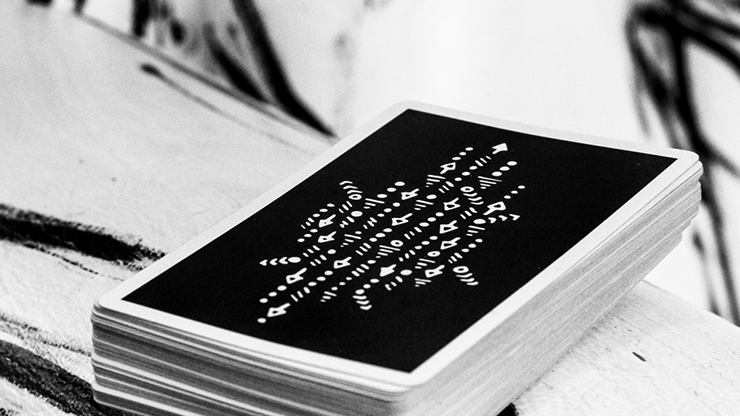 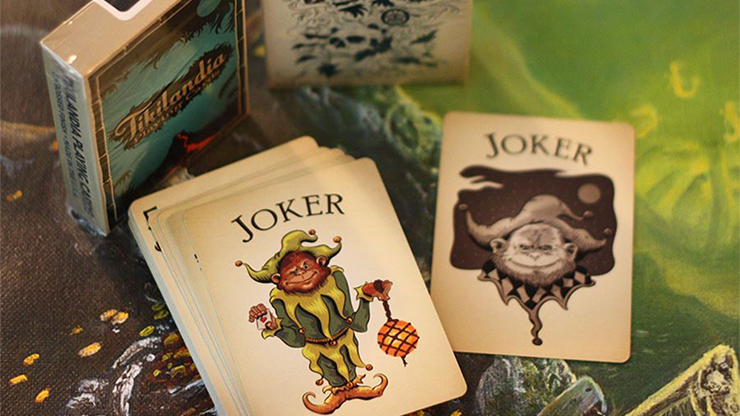 This deck consists of 52 cards with detailed, Polynesian-themed face cards that will astound you, as well as 2 whimsical, simian Jokers! 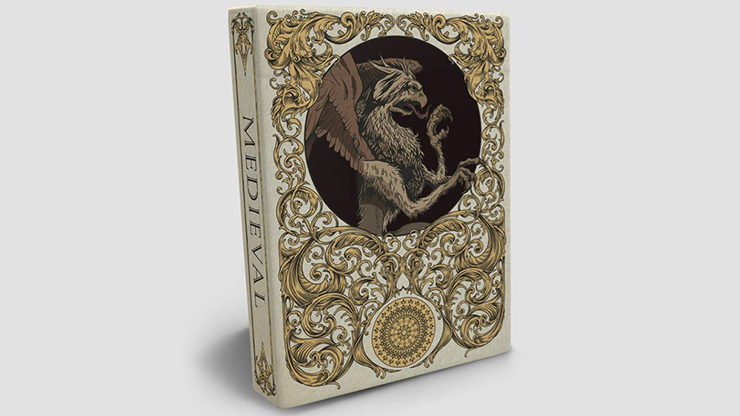 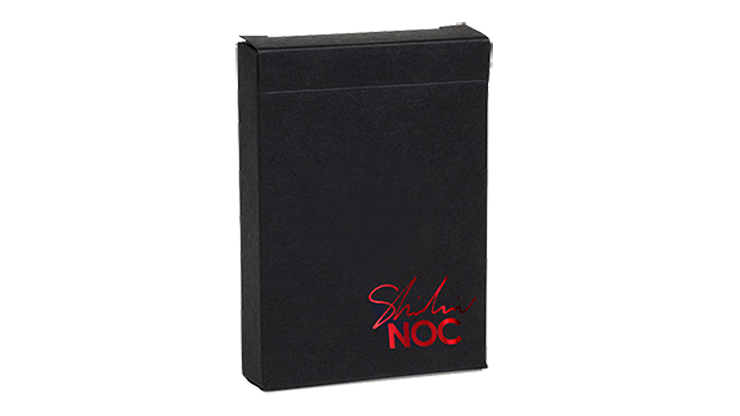 The tuck box depicts an incredible lava flow, so real and pertinent for today! 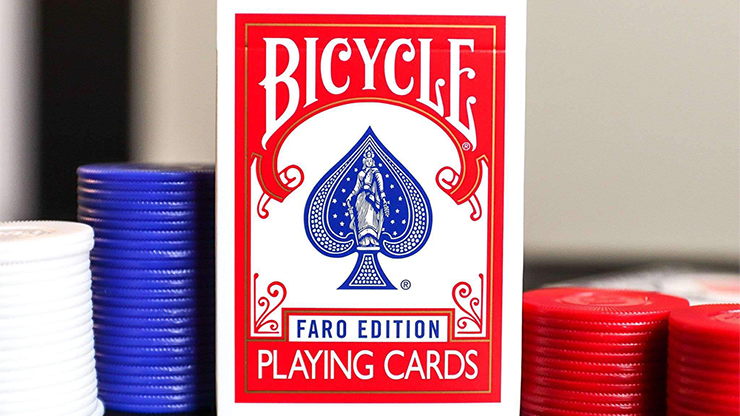 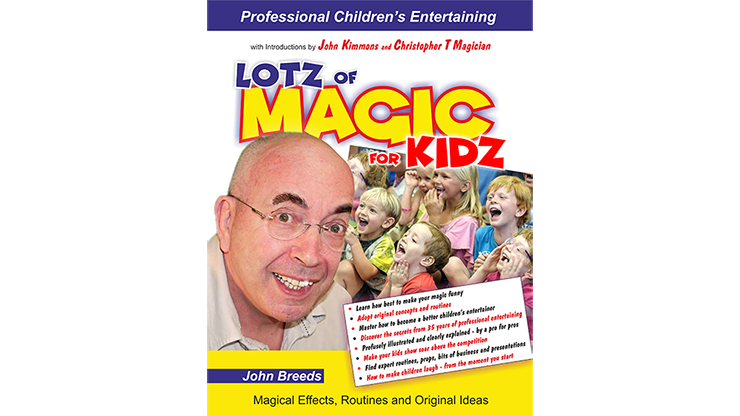 This poker-sized deck of cards is made by USPCC, and is printed on USPCC's Air-Cushion Stock. 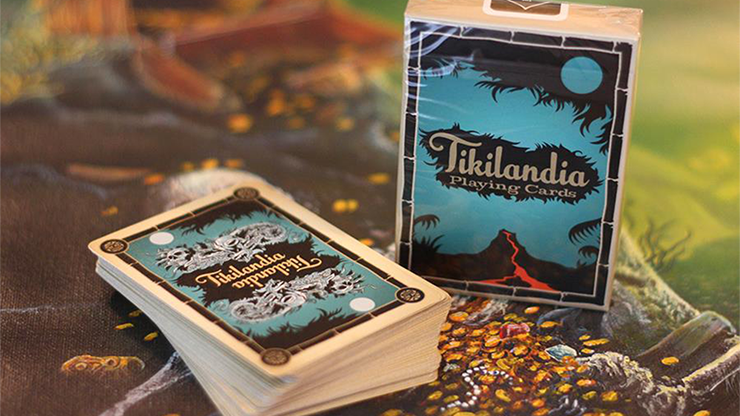 The Tikilandia Playing Cards would be a nice fit for any home, especially one with a tiki bar!